It's always an interesting exercise looking back on the books that you have read during a year. Today, I begin a series of posts where each of us here at Historical Tapestry picks out our favourite reads of 2009. I wonder if your favourites will appear on any of our lists? Quite often I will look at books on my list and see a book that I marked as a particular grade but as I look back on it would probably grade differently now, some times better and some times worse. Then there are the stand out books. The books that you absolutely loved and would not change the grade of even if you read the books months ago. 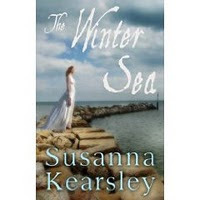 My first favourite for this year is The Winter Sea by Susanna Kearsley. From the first moment I picked up this book, I was sucked into the worlds of historical fiction Carrie, as she in turn was drawn into the world of Sophia who lived in the early 1700s in Scotland! I have been recommending this book to anyone I talked to. One thing to bear in mind is that the title has now been changed to Sophia's Secret. Regardless of which title the book has, the contents of the book are excellent, and I am looking forward to reading more from Susanna Kearsley next year. You can read my review (including a synopsis) here. 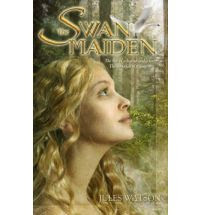 If we travel back even further in time from the early 1700s, we will eventually find ourselves at the time of my other favourite book of 2009 - The Swan Maiden by Jules Watson. This isn't the first Jules Watson book that I have read, having enjoyed the three books of her Dalriaida trilogy over the last few years, but this is definitely the most confident and assured in terms of writing style yet. This book is a retelling of a Celtic myth about Diedre, an unusual young woman who catches the eye of the King, Conor. She doesn't want to be forced into marrying him, so she escapes and in doing so comes across three young warriors who have been banished from the tribe. She falls in love with one of them, Naisi, but it is only a matter of time before Conor finds them, and when all of them have to face the consequences of their actions. Beautifully written, and a lovely story, this is another highly recommended read. You can read our interview with Jules Watson as well as my reviews of her other books by clicking on this link. The Founding, The Dark Rose and The Princeling by Cynthia Harrod-Eagles - all part of the Morland Dynasty series of books. Royal Harlot by Susan Holloway Scott - read Susan Holloway Scott's Why I Love guest post. I should really read the two Jules Watson books I already have on my shelf! Two of the three in the Dalraida Trilogy. Great recommendations, Marg. Thanks. Thanks Lezlie. I hope you did to! Aarti, I really enjoyed Jules's earlier books, but this one took her writing to a whole new level in my opinion. Thank you for recommending Helen Hollick's Pendragon trilogy. I read her Why I Love piece and decided her take on Arthur sounded interesting. I just finished The Kingmaking and I absolutely loved it and have ordered the next two books - can't wait for them to arrive! The Last Queen was so good. I wish I would have accepted an ARC of Pendragon's Banner. I enjoyed The Kingmaking so much. You've got some great books on this list. I LOVED The Last Queen, and I really want to read Hollick's series this year. Heather, Hollick's series is definitely worth reading! Leya, I think you will love the Kearsley in particular! Hopefully anyway! Teddy, it's always hard when you see people loving ARCs that you turned down isn't it! Jenny Q, thank you so much for letting us know that you enjoyed it, and it was the Why I Love post that inspired you to read it! I always enjoy the Why I Love posts and I am glad when other people do too.